The New Garmin Forerunner 310XT Openwater Swim Mode…In Depth. Last week Garmin quietly introduced a new upgrade to the Garmin Forerunner 310XT watch that now enables an open water swim mode. This new feature aims to allow you to get accurate distance in the water while using the watch on your wrist (instead of the tried and true swim cap method). Shortly after release the update I had a chance to ‘sit down’ with a team of Garmin Engineers, including – Jay Dee Krull, David Downey (Software Engineering Team leader), and Jake Jacobson. I had some of the top dogs on the line – Jay Dee has more GPS related patents to his name than lights on a Christmas tree, and stated off as Garmin employee #5. 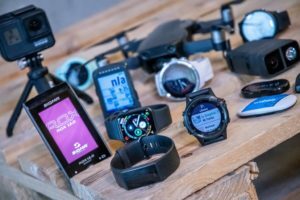 There are now 8,500 employees at Garmin. Let’s get on with the upgrade! Like most updates, this upgrade is super-easy to get. Simply go visit the Garmin Update site and in a matter of minutes, it’ll float its way on down. At which point, you’re ready to roll! Do note however, that in swim mode, all ANT+ sensor data (incoming) is disabled, so if you were to run/bike with it later, you wouldn’t have things like heart rate, cadence or power. It’s a one-button press back to run/bike mode, but just something to be aware of. The Garmin folks made this even a bit more easy to recognize, as in swim mode the current distance data field will show a zero. So now that the watch is all upgraded, let’s get onto the tests. Well almost…I wanted to call this out specifically before we get into the tests. The Garmin engineers really wanted to get the word out that the map won’t change. This is all about the distance displayed, not about the pretty picture displayed. We’ll talk about why later. My first test of the new firmware would be on a measured swim course that was open to swimmers the day prior to the actual race (a swim race, not a triathlon). This was beneficial for a number of reasons, but primarily because the organizers were/are super detail-oriented on measuring, re-measuring and re-measuring again using GPS on the swim course. Similar to how a certified 5K or 10K road race would be. So Saturday afforded me the chance to get one loop in on the multi-turn course. In order to ensure I had pretty much all the bases covered I started with a Garmin 305 in my swim-cap to use as the baseline test. This would be the tried and true method, one that I’ve used for years with spot-on accuracy. I’ve previously shown that in the swimcap, the 305 and 310XT are identical – I just used a 305 in the swimcap because I don’t have three 310XT’s sitting around to use. Next, I’d have on my left wrist a Garmin 310XT that did not yet have the firmware updated on it, and thus was kicking it ‘old school’. And finally, on my right wrist, I’d have another Garmin 310XT that did have the firmware updated, and the mode was set to ‘Other’ with the open water Swim being enabled. With everything set, I was ready to tackle the water with more measuring equipment than my entire swim wave combined. The actual loop around the course was pretty uneventful. Because it was a nice day without any chop it was easy for me to not only sight, but swim a really perfect line. I started off pretty easy and built into a harder push about a quarter of the way into the swim. About 26 minutes later I found bottom and stopped all three Garmin Forerunners. The first track to look at was the one in the swimcap – which showed a beautiful route and a measurement of .98 miles – pretty darn close to the 1.00 miles the course was measured at. That’s well within an acceptable margin of error for GPS given the conditions. Next up would be the 310XT that hadn’t been updated yet, on my left wrist. Using the old-school firmware in simple ‘Other’ mode, without any swim enablement it routed out a rather sketchy course at 2.47 miles – or more than double the actual distance. This however, is par for the course with what most folks see today when using the 305 or 310XT on their wrists during the swim, usually a 2X increase in distance. And finally, up last would be the 310XT that had been both updated, and with the Swim setting enabled. This one was on my right wrist. And after pressing stop, it processed the data and came up with a total of 1.12 miles – or slightly long. But, the map was still pretty whacky (actually, whackier than before interestingly enough). In talking with Forerunner Software Engineers they explained that the goal is to give accurate distance – not to try and re-work the map. And this makes sense when you look at the technical challenge. ‘Simply’ recalculating your projected best guess of a path based upon a series of dots is one thing (math fun), but re-writing those dots on a map is a whole different ball of wax. Once you start doing that you start getting into the issue of how to re-write data files (FIT/TCX, and thus in effect GPX) to make an imaginary route – or put more simply: Faking data points on a map. While I think in time this issue will be solved, I think it’s wise to take baby steps. We’ve seen in the past how vulnerable Garmin data files can be to corruption, and I’d much rather have accurate data and a bad map, then no data at all. With that, it seems that after the first test there’s some pretty clear evidence that the algorithm is pretty close to the actual distance. A bit long, but if I figure that there’s a margin of error in the GPS itself, we’re probably only looking at being off .05-.08ish – which isn’t horrible. With that, let’s get onto the next day. Sunday came along and this time I’d be swimming the same loop twice, for a 2-mile continuous swim. Would the additional mileage increase the margin of error, or decrease it? Plus, I’d be in a large group of folks – just like a normal triathlon – all fighting it out. Obviously, had this been a race that I truly cared about posting a solid time, I wouldn’t have taken all this stuff ‘onboard’. But, for me, this race was more about just getting open water time than anything else. So with that, I armed myself again with a ton of gizmos and got underway. As you can see, the test data showed a fair bit different results for the 2-mile swim than the 1-mile swim. While the swimcap distance was spot-on (Woot to my swimming abilities! ), the wrist method showed a decrease in accuracy. Previously it was about 10% off, but now it was closer to 22% off. In doing a bit of watching of various forums over the past weekend, it seems folk’s results are varied as well. Sometimes it’s spot-on, and yet others it stays a fair bit. I would have assumed that was related to the difference in people strokes, but given my own stroke doesn’t likely change from one day to the next, I was surprised to see such a large swing. Because I’ve seen a few folks ask, I went ahead and asked the Garmin Engineers what the experience would be in an outdoor pool. Across the board they said that the number of data points, and the fact that they’d be clustered too close together meant that they didn’t have a high degree of success in the pool. This is logical – given the algorithm assumes that you’re making some level of forward progress on a scale greater than every 25 yards or so. Nonetheless…I was curious. And since the event had an outdoor pool next to it, I gave it a whirl. I did two separate tests – one with open turns, and one with flip turns. The reason being the engineers said that the flip at the end of the lane was the most problematic part of the whole thing, as the prolonged loss of data would cause even more issues. For my tests I did two simple 250m sets, at a VERY easy pace – which in turn would have probably given a bit more ‘air time’ during the stroke recovery. As you can see, not terribly accurate on the wrist – but as expected. I was impressed though with the swim cap distance, especially in open turns. Again, this was just a curiosity thing, and since I know some folks will ask, I figured I’d give it a whirl. Nonetheless, just an interesting data point. But again – both Garmin (and I) don’t recommend you depend on the 310XT for swim distance in a pool. So while we may in certain circumstances be able to gather data semi-accurately now – the bigger question is whether it’s best to use the swim cap method or the wrist method. First, let’s address the pins. There’s an issue on the 310XT where the pins can pop-out using the standard orange wrist strap that comes with it. This can be done with a moderate amount of force being exerted on the strap itself. Should this occur in water deeper than your bathtub, you probably won’t see your little orange friend again. Garmin has admitted there is an issue here and will replace your pins with some new sturdier pins for free if you call up support. However, what they (and I) both strongly recommend is that you use the quick release kit. The reason for this is the quick release kit fundamentally changes how the pins support the band structure to using a flush mounted system on the back of the watch. This means in the event of significant force against the watch, the load is distributed not only against first the quarter-turn release, but the against the entire backplane of the watch, as opposed to just a single pin hole measuring approximately 1 millimeter in width. Given the cost of the quick release kit is only about $17 – it seems a heck of a lot cheaper than replacing a $325 watch. Of course, back to the main issue of whether to use swim cap or wrist. In my opinion – the swim cap still gives more accurate results reliably and (perhaps more importantly) a really pretty picture. Further, while there’s there is certainly potential to have your swim cap ripped off during a race – that’s in my opinion less than that of a competitor whacking your wrist during a swim start in a race. Further, some folks use a simple piece of string/floss/anything to tie their goggles to their 310XT/305, thus solving the problem. Personally though, I don’t generally use mine in the water in a race, just in training due to concerns about loss. During my hour, I asked a ton of questions of the team around the feature. These were the ones that didn’t fit anywhere else above, but I figured they’d be useful to post nonetheless. Answers are paraphrased/shortened unless quoted. 1) Does the swim mode use ‘Smart recording’ or 1-second recording? 2) What triggers the post-processing of the data, and how long does it take? Answer: Pressing Lap or Stop, and the process usually takes less than a second. 3) Does the distance show during the swim? Answer: No, zero distance is present during the swim, and the distance is displayed at lap/stop. 4) Does auto lap work in swim mode? Do alarms work in swim mode? Answer: No, auto lap is disabled once in swim mode, as the distance is an unknown until post-processing. Same for alarms. 5) Can multi-sport mode be used? Answer: Yes, absolutely! It works just as it normally would. 6) Is there a minimum turn radius/angle, or are there issues with courses with lots of turns? Answer: No. No issues seen in testing with turns being cutoff, or not recognized. 7) Any thought to simply changing ‘Other’ to ‘Swim’, or just adding a ‘Swim’ mode to the watch sport list to reduce consumer confusion? Answer: It’s on the list to do at some point, just a matter of getting it prioritized. Previously, it didn’t make much sense, but given the change it makes more sense. 8) Does it work on other strokes besides freestyle? Answer: We specifically recommend ‘For freestyle open water swimming’ – because freestyle is the only chance you get to see GPS satellite. Breast-stroke ‘mileage may vary’, as well as other strokes. 9) Any impact on battery life? 10) Is this the only watch you’re aware of that supports open water swimming via GPS? Answer: Yes, to our knowledge. 11) Given that the current ANT+ heart rate straps don’t work in the water, but the Polar T-31 coded ones do (not compatible with Garmin devices). Any plans to address this issue? To wrap things up, I think this is a great new feature – especially with a bit more fine tuning. To me, it shows they are clearly looking at how to improve the Forerunner 310XT for existing customers, and increase its appeal for potential customers. Perhaps more importantly though, I think it also gives them a chance to gather a ton of data over the next 5-6 months around openwater swimming. Data that’s then automatically uploaded to Garmin Connect. Data that could then be analyzed to improve the accuracy of the algorithm for both the 310XT and future 310XT replacement watches. I’d be amazed if we don’t see further improvements in the algorithm to fix some of the inconsistencies testing is showing now. I want to again thank Jake, Jay Dee, David at Garmin for their time in both answering tons of questions, but also listening and discussing some of the issues I see (and hear from others) today with current watches. I’m looking forward to seeing how that conversation shakes out long term. So with that – go forth and enjoy the swim! P.S. – And as a reminder, if you buy it through any of the Amazon links on this page, you help support the site. Thanks! Great post, and great update! I’ll certainly test this soon. One question: in your first picture you show the bike names that you have modified from the standard bike 1, bike 2, etc. How did you do this, as I conctantly forget which number corrsponds to my different bikes? I have a question about the amazon links, I recently purchased a 305 and clicked on the amazon link in your site but didn’t like the amazon marketplace seller because I have amazon prime and wanted to use that for the shipping. Do you still get proceeds even though I didn’t use the marketplace seller you had a link to? Or does it just matter that I used the link on your site? 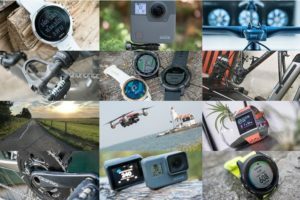 And excellent post, even though I don’t have a 310XT it’s fun to read about all the advances (and hangups) garmin is making, it’s fun to watch a technology be advanced! Great post… just one thing, the $50 rebate does not apply if you buy it through amazon. Great post. I’ll keep my 305 in my swim cap. One question: do you swim with the 305 ??!! To modify the bike names, go into the Bike Profile within each bike (1,2,etc) and then in the profile section you can change the name. I appreciate the link use! No matter where you end up on Amazon, or what you end up getting on Amazon, I get credit from it. I buy a ton on Amazon, and prefer Prime items as well because of the shipping – so I’m in the same boat. I try to link to the cheapest vendor, but sometimes that changes. So – no matter what you end up buying there, as long as you came through ‘the front door’ from any Amazon link on this site, I’ll get credit – and that I appreciate! Especially if you happen to buy a $45,000 diamond ring or something…. Eek, good catch on the fine print on that rebate. Strange stipulation. I’ve updated the most above to remove the rebate reference. Thanks! In openwater pre-310XT I’d use the 305 in the swimcap method (see link at begining of article). Just ensure it’s in a little ziplock bag though for extra protection. Enjoy! Hi, A while back you mentioned a test on the PoolMate swim watch. Is that still ongoing? There were rumours that they were working on an open water swim version, which would be ideal for training, though of less use for Tri. Incredibly thorough review and much appreciated! Maybe Garmin should just come up with a strap that lets you put the device around your head! That would solve all problems ..lol! I know you’re probably tired of hearing “GREAT, DETAILED POSTS” ETC, ETC. However, I’m glad I happened upon this website. GREAT WORK! I’m very interested in purchasing the 310XT. My wife and I are avid runners and stand up paddlers. Clearly running w/the 310XT is a thing of beauty. My concern is the SUP piece of the puzzle, will this device record accurately distance paddled etc? My concern is w/paddle stroke etc. Thanks again for the great blog and posts. Is there a way to report info about this mode back to Garmin? I did my usual sea swim this morning where I normally have my Garmin in my hat, but used the swim mode on my arm, I usually press lap a couple of times as its an out and back route. The distance seemed way off, but when looking on Garmin Connect afterwards I noticed a 0 seconds 550m lap! Without this mysterious lap the total distance would have been spot on. Maybe I pressed lap twice being inpatient for it to beep? That could be the bug. Let me know if theres anyway I can report this to Garmin. Did you find that the 2.9 update caused your 310xt to stop working with the Tanita scale? It reads the data, but won’t upload into Garmin connect or the Healthy Edge Software. I keep meaning to test this out using a foot pod, just haven’t had a chance to do it yet. Sorry! I just gave it a whirl, and it does work for me. It goes from BC-1000 to 310XT (with 2.90), and then from there it does show up in GC for me. Hi Ray – Thanks for the update. I had a race this past weekend and used the 310XT in my cap (I hadn’t yet read this review). Since I was using the race more for training than racing, I decided to wear my heart rate monitor too, even though I knew it didn’t work in the water. 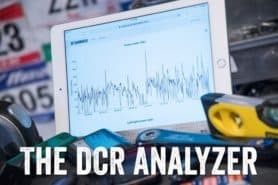 When I downloaded the data later that day in Garmin Connect, lo and behold, there is heart rate data — for the whole race! Did this firmware update fix that? Did you have your HRM on when you did these tests? Is this just some strange anomoly? I’ll send you the graph if you want to investigate further. I have seen on very rare occasions where HR will sporadically pick-up. Though, that’s pretty impressive that you got it for the entire swim – that’s surprising. It’s not a firmware issue that’s the blocker there – but rather just a signal strength issue. It’s possible that it’s transferring through you better than most folks. 🙂 But the real issue is typically just water completely kills the signal almost immediately. I’d be interested to see if you see it longer term! Have you tried swimming with the updated 310XT under the swim cap. I wondered if that would be an improvement or whether it would record a considerably shorter distance. I’ve tried it a few times (including just yesterday) and when not in swim mode and in the cap, it shows the same (accurate) distance. I havne’t tried swim-mode in the cap, as I get super-accurate distances otherwise. The way swim mode works though, it wouldn’t likely make it any better, as it’s simply looking at the non-dropped data points and averaging them (super-high level explanation). Only in cases where you see a lot of dropped data points would it possibly improve it. I’m still using ver. 2.70 for my 310xt. I use it under my swim cap and like having the auto lap feature beep and buzz every .25 mi. A bit of confusion on the upgrade. Do I lose the auto lap feature ONLY IF I “enable” the open water swim feature?? Or do I lose it for all swim/other workouts ?? I just stumbled upon your blog a few days ago as I’ve been trying to decide between the Edge 500 and Edge 705 for reasons that will become clear below… Anyway, what a great resource – thank you for the fantastic work! I wanted to add something to the swim cap vs. wrist debate. I have (actually had) a Forerunner 310XT with a quick release kit that I’ve been very happy with. I used it successfully (outside of some data being lost with a glitch) in 2 Ironmans (Arizona and St. George) and during the second loop of the swim on its third (Coeur d’Alene), the quick-release back plate (the part that mounts directly to the 310XT) broke, releasing my poor 310XT into the blue abyss of Lake Couer d’Alene. 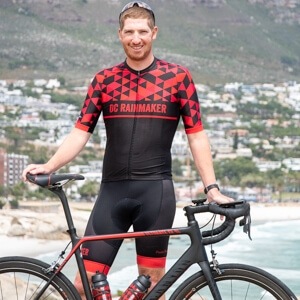 Worse, as I carry no watch and had no computer on my bike besides the 310XT, I was left to do the Ironman blind, so to speak – with none of the power, pace, and heartrate data that I’ve always trained with and come to rely on. So while, based on RPE, while I thought I was taking the first bike loop relatively easy, I had pushed it too hard, and that had consequences later in the race. I did call Garmin the day after the race, and, since I was able to provide a picture of the the broken bracket (about 2/3 of it had remained attached to the wrist strap), they quickly sent me a refurbished 310XT and a new quick release kit free of charge. 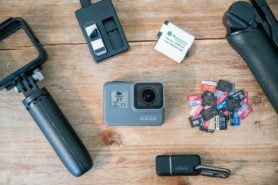 A friend of mine was not so lucky however – her 310XT (also using the quick release kit) lost a pin and came off in the swim as well, and, as she could provide photographic evidence of anything broken, all they could offer her was a discount on the purchase of a new unit. She is now boycotting Garmin. The upshot of all of this is that I am leaning toward swimcap in the swimcap vs. wrist debate. With or without the quick release strap, the 310XT still protrudes from your wrist enough that, in the full contact event that is the triathlon swim leg (particularly in Ironmans), it may come into contact with another swimmer’s body and detach itself from your person – and I think the chances of this happening are much greater than those of a swim cap breaking or being pulled off your head. That being said, I am also going to buy a GPS-enabled bike computer (either the Edge 500 or 705) to leave on my bike (and take with me on the run if necessary), should my new refurbished 310XT choose to remove itself from my person in another race. Correct – only if you enable the swim feature and only on the ‘Other’ mode. I agree, I wouldn’t recommend the 310XT in a race (never have) – as I think it’s just too easy to have it whacked off when it’s on your wrist. I think you’ll love the Edge 500 and 310XT combo for a race though! That’s what I do. Sorry if this is a stupid question; I’m often swimming a relatively straight line from point A to B and then back again. This should be possible to measure with only two location measurements. Is there a way to “tell” my 310xt to only measure at these two locations, eg when pressing “start” and “lap”? Wow, people still upload their data to Garmin Connect? Shocked. So, let me summarize what I think you found, under all conditions the old Garmin stuffed in a swim cap is better than my new one; the new one has crap pins that can come off, as I found in the transition area at IMAZ when my watch fell off; and generally the new one doesn’t measure the distances within an acceptable accuracy measure when worn on the wrist, and at the same time disables a load of other useful features. A wringing endorsement for a product dressed up as as useful function… As a firmware engineer for embedded processors, its hard to image why they couldn’t add a SWIM title when the function was enabled, besides the fact they didn’t think of it or marketing didn’t think it was worth it. the answer to your question is yes, and err no. I don’t use Garmin software, period. You can use Sporttrack to export data which can be imported into Google earth. Google earth allows you to measure the distance between any two points. I’m sure there are other ways to do this, this was the simplest though. This is how I measure swim courses today using a 310XT, worn on the writs, with no updated firmware. When measuring a course what you are interested in are the distances between points on a course. Hi DC. Like you, I swim, bike, and run mostly in la belle province, that being Quebec, in Canada. I recently bought a 310XT after losing my 301 in a lake during an actual race (but that’s another story). I just finished reading your post about the swim test with the 3 watches. Just wanted to let you know that that was a great post that answered a few questions I had. Thanks! Rainmaker, you are the man! Very cool “Design Of Experiment” and data :). I really appreciated the information you shared. Just wondering if there is any talk of when the next generation watch will be coming out that will put to rest all of discussion that has surrounded this issue? I’m mulling over getting the 310xt but with my luck, I’ll get one and 6 months later the new version that gives accurate swim distance and maps from the wrist will come out. Just wondering and thanks for the detailed reviews. I’ve found them highly benefitial. My best guess is that there will be a new ‘310XT’ this spring, on track with Garmin’s every two year release cycle. I don’t know if it will include new swimming features, but I’d have to believe that’s high on thier list given other devices starting to include it for indoors use. Great posts, I really enjoy reading through them! Wanted to let you know that one thing I do for a race, if it’s wetsuit legal, is put the 310xt in my wetsuit. I usually have it positioned at my chest and ready to go, once the race starts I am able to hit the start button through the wetsuit. This way I am able to have the watch in Tri mode and get all the time data on the watch for all 3 events. For me it isn’t a big deal what my water distance is since I’m racing, I just want to know what my total time is once I’m out of the water. New 310XT this spring, hmm…will the faceplate glass issue be fixed, I wonder. Holding off until I can find this has been addressed. Great write up! Will suggest this on our Facebook page! Thank you very much for your thorough report. First time to your blog so wondered if you have done any comparisons with the new Timex Ironman GPS? I have just accepted gps is not really that important to my open water swimming at this point but hopeful the technology will evolve. I am goig to try prone paddleboarding with the swim mode Garmin 310XT turned on. Do you think the accurcy will be better with the swim mode on a paddleboard vs. swimming? I would go with just regular mode. As long as the unit is above the water, regular mode is your best bet. Enjoy! Really interesting post – got 2x distance using wrist mode during ITU Cross-Tri worlds in Spain last week. 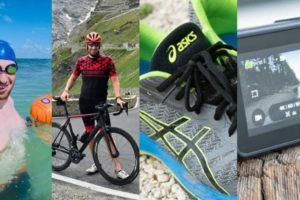 What are the benefits of using the footpod AND GPS? Will it automatically calibrate the footpod? And will your speed display be more immediate? Good article. I agree with not using the 310 in races. It’s pointless any. I already know the distance and I’ll get the time when I exit the water. I’ll continue to keep my Garmin up & under my swim cap to track all my Alcatraz swims. First let me congratulate you for the extensive, comprehensive and absolutely no match work like you do! Outstanding! 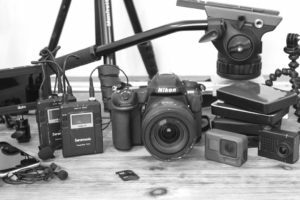 First off… Thank you for a great blogg/homepage and all your efforts regarding training tips, explaining and comparing gear. Your unbiased information and critique is better then any of the gear-guides written by of the major magazines. Got a quick one.. with the swim mode enabled or not, the current distance registers as soon as i move without hitting the start or lap button to let it update itself… should I accept it as it is or did i set it up incorrectly? I think we’ll see they’ll go with some variation on that, likely something like LapView that could do both GPS distance as well as inpool distance. Purely to get cadence, and to get speed/distance in a tunnel. I don’t believe so since swimmode doesn’t calculate distance until lap is pressed. No, only in swim mode should the distance not display until lap/start. In other modes, the distance will be updating constantly. If in swimmode and the distance is registering, something might be incorrect (or they’ve changed the behaviour in the latest firmware) – I’ll double-check that in my next openwater swim. Hello! awesome post as everything in your awesome blog. You say that if we want to bike/run post swim it’s just one-button press back… but, in the q&a section you say it’s possible to use it (the swim mode) with the multi sport feature. So how’s the process exactly? Thank you very much! Hi! Thanks for this great website, that I just discovered! I bought the quick release, to use with my garmin edge 500 when I run. But there is not wrist band! Where did you get the one shown on your pictures? I found a replacement wrist band for the forerunner 310 (orange and black) but it costs 50$ which is ridiculously expensive for a plastic wrist band I think! 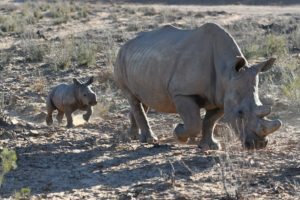 Great article, but I have one question: If I do a training pool / triathlon in the swimming pool and I swim with the model 310 with a new version that this animal can take my exact distance and in addition it can take my pace to 100 meters? No, the FR310XT doesn’t measure distance in a pool. Only outdoors. I recently completed my first triathlon using my 310xt in Swim mode and noticed that while the distance was pretty close to accurate the time was way off. I didn’t see you mention this anywhere in your post. It looks like the times that the watch lost connection I would lose that time as well. From the clock time at the race comparing to my watch there is about 4 mins of lost time. Not a huge deal, but something that is interesting to me. ALso I found that my watch would buzz a lot while I was swimming. My guess is that it was an alert that it lost GPS signal. It seems like that should have been disabled with the new swim mode as it is essentially designed to lost signal and then regain it later. Any help would be great. Double-check that AutoPause isn’t enabled in there. Ray, autopause on/off is disabled (disappears from the menu) in swim mode. Had the same problem. Firstly am a great fan of your reviews and bought my 910xt few years before after reading your review. I have a few questions to clarify !!! 1) Firstly the 910xt was perfect and I loved it. Had used it in open waters for swimming and also in pools. As I don’t swim freestyle and only do breast stroke, the swimming data was anyways not accurate so I rarely used it for swim. Had used it more for running and long distance cycling. Not sure why, one by one all the side buttons kind of broke or came out leaving me to use pins to switch on and use the buttons. Since you use for swimming more, just wanted to know is that how Garmin works or is it because I had used it in the SUN extensively as the climate here in Chennai, India is hot and I have done like 1000kms cycling using that. 2.) Have not used it for 1.5 yrs and when I try to charge, I keep hearing some sound and vibration but don’t see the 910 coming up at all. If we do not use for long periods the Garmins won’t last?? 3.) Now due to budget issues, I just got a 310xt & the software version is 4.50. I believe this version already having the firmware upgraded as I can see Swim when I go to others. You had mentioned that “Do note however, that in swim mode, all ANT+ sensor data (incoming) is disabled, so if you were to run/bike with it later, you wouldn’t have things like heart rate, cadence or power. It’s a one-button press back to run/bike mode, but just something to be aware of. ” So we need to go to the setting and disable Swim before we cycle or run next? 4.) You have mentioned in the start of this blog that, ” I’ve previously shown that in the swimcap, the 305 and 310XT are identical – I just used a 305 in the swimcap because I don’t have three 310XT’s sitting around to use.” My question is are you saying if we use the 310xt on the cap, with or without firmware upgrade it shows the correct data? If so, in what setting should we use it? Just use others with Swim disabled to get correct data as shown in your first pics showing 0.98 and 1.98 miles. That seems to be the best option to use for swim. 5.) Lastly, as I am an amateur swimmer and even my breast stroke is no way close to the actual breast stroke, is there anyway I can use 310xt ocapture swim distance by keeping under the cap? If so, what setting to use.